This recipe will give you about 28 smooth and creamy chocolate truffles which are like velvet and sure to satisfy any sweet tooth. Blend the avocado in a food processor until smooth and creamy. Add in cocoa powder, vanilla and almond extract and continue processing until thoroughly combined. In a medium microwave-safe bowl, heat chocolate chips in 30 second increments until melted. Stir well to ensure all chips are melted and chocolate smooth. Stir avocado mixture into the melted chocolate until well mixed. When you're ready to roll truffles, add sweetened coconut flakes to a shallow bowl. 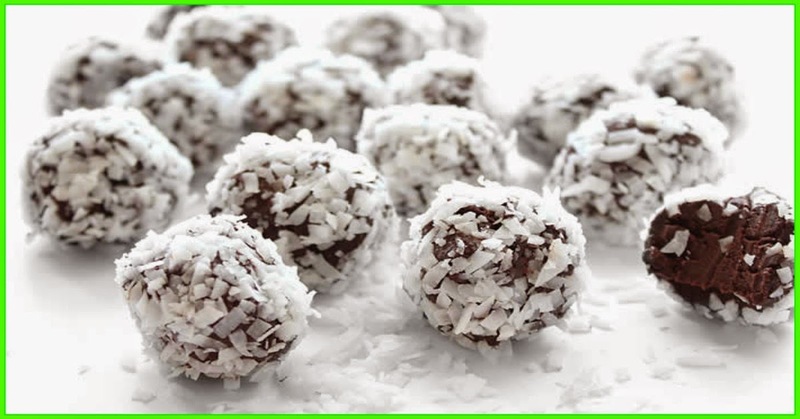 Roll rounded teaspoon of chocolate mixture into a small ball and roll in coconut to coat evenly. Store chocolate truffles in refrigerator until ready to serve.